Most current cell phone carriers offer fourth-generation (4G or 4G LTE) wireless cellular service, which represents the latest iteration in the “exponential evolution” that began with analog first-generation (1G) service in the early 1980s.5 Each subsequent decade has ushered in a new generation of mobile networks, with 2G going digital in the early 1990s, 3G emerging in the early 2000s and implementation of 4G/4G LTE unfolding in the early part of the current decade. 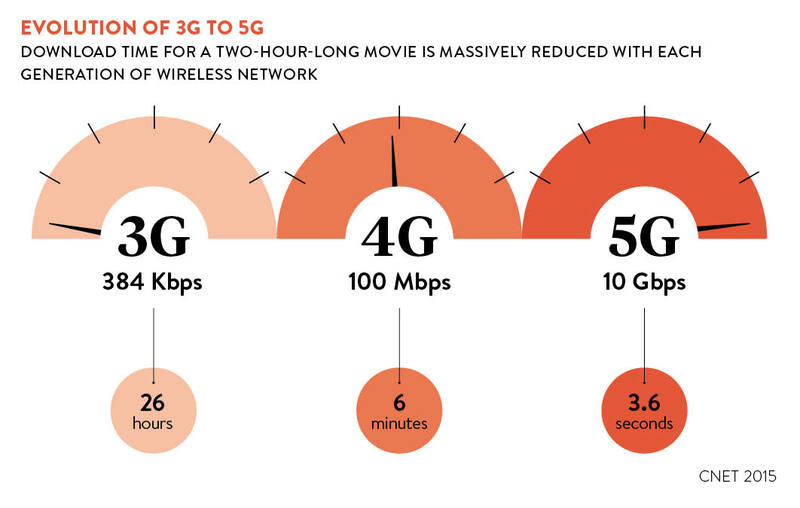 With the advent of the dramatically faster 4G service—the first generation designed primarily for data rather than voice—mobile phone users have been able to stream video and music to their heart’s content.6 Yet, with perpetually data-hungry consumers flocking to newer applications such as virtual reality and videoconferencing, it appears that even 4G is being stretched to its limits. We are immersed in a microwave ocean of electromagnetic frequencies, drowning in negative health effects that the U. S. Department of Health and Human Services and its counterparts worldwide are totally oblivious to or which are complicit with evil in creating a high-tech system that will enslave humanity in a lock down of planet earth, all the while making us sicker and more controlled. The Anonymous Patriots do not exaggerate. 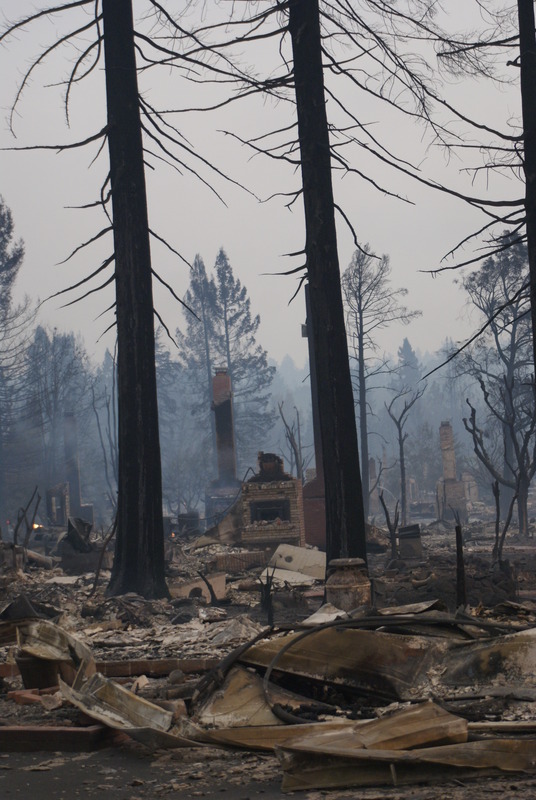 We highly recommend that you read this article to understand what kind of world you are leaving your children and grandchildren. If we wait for somebody else to solve this ginormous problem, we have raised a white flag of surrender. 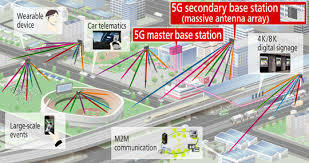 No one is ready for the tsunami of Fifth Generation (5G) radiation that has been unleashed by the Federal Communications Commission, whose only health concern is whether or not 5G will “heat-up” human skin past a certain degree. Only when 5G is “cooking” human beings will the FCC and the Health and Human Services consider any negative health effects of this new generation of “beyond microwave” 5G millimeter (milli-wave) radiation that will be beamed from 300,000 new cell phone towers in every US community – coming to the utility pole near you. 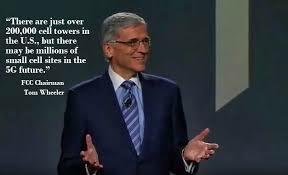 Perhaps the FCC should put their collective heads into a microwave oven, turn it on, and then say that microwaves and milli-waves are harmless. The U.S. Government is the gate-keeper for patents, innovations, safety standards, and most especially for the weaponization of any new device that can be used by the military. Cyberwarfare is now the number one theatre of military activity and due to the expansion of the National Defense Authorization Act, has allowed the military to work within domestic borders. 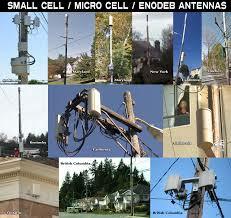 The roll out of 5G that is authorized by the FCC, in conjunction with other U.S. agencies (DoD, CIA, FBI, etc. ), is another experiment in the weaponization of the internet and all digital technologies that surround it, including the use of cell phones, wireless broadcasting, wireless computers, and the 100 billion wireless devices that will be connected to the Internet of Things in the next few years. No one is testing the side-effects of weaponized military-corporate innovations like the internet (originally called DARPANET), Facebook, Twitter, and other “experiments” of the Defense Advanced Research Projects Agency (Department of Defense) and In-Q-Tel (Central Intelligence Agency). We are simply being used as “Guinea pigs” in an ongoing experiment concerning what EMFs and full-spectrum radiation does to the human being. Or worse, planetary rulers are deliberately enslaving the people of the world in a type of global fascism called “the internet of things”, knowing full well how harmful these innovations are to living beings and having full intent of implementing a new and better version of fascism than they did in the last century. These are not experiments. This is all out war on humanity. Their intentions are exact: Enslave us. Control us. Subsume us. In this Citizens Intelligence Report we demonstrate that 5G is dangerous to human health — mentally, psychologically, and physically. Humanity has yet to deal with the epidemic of digital illnesses that have already assaulted those immersed in frequencies ranging up to microwave that bombard and pervade daily life with digital devices that are already being used. The Anonymous Patriots have written about the illnesses created by the use of the internet, cell phones, and social media in prior articles. As politicians are debating who will install and pay for the new 300,000 towers and antenna that must be in place for 5G to accomplish its goals, have any of them demanded thorough research into the effects of the systems now in place? Before amping up to 5G, we need to DEMAND that our elected officials CEASE AND DESIST the rollout of 5G until there are significant studies on the effects that 1-4G have already had on us. Then 5G needs to be tested for compatibility to life on Earth. Despite overwhelming evidence that EMFs, at all levels, cause irreparable damage to humans from DNA to brain-functioning, 5G proponents rush ahead as if higher processing speeds is worth permanent damage to humans. It seems that 5G will only be an advantage to machines, not to humans. Here are some initial pics i took. 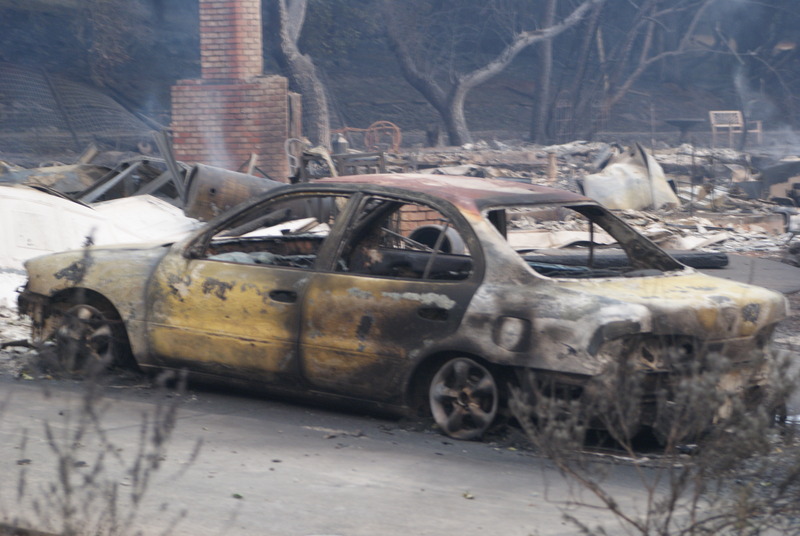 Cars melted to the core, yet trees not affected. 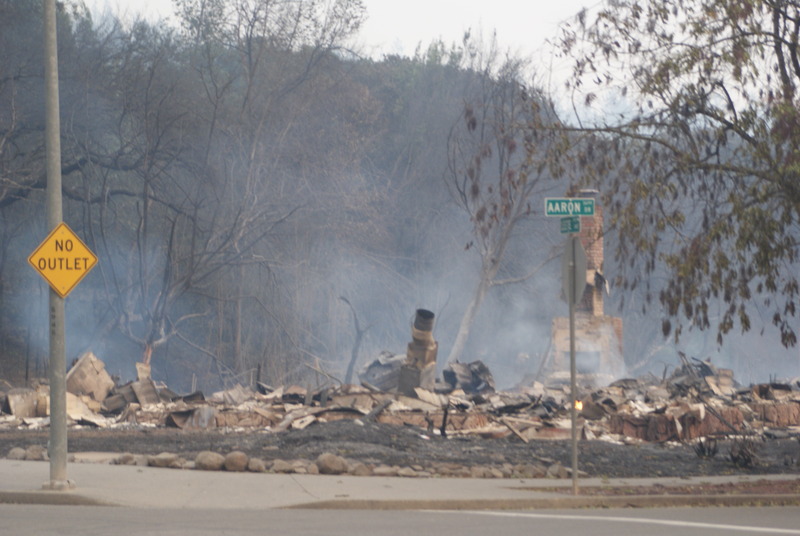 An entire block torched, yet forest and homes just feet away, untouched…comments all say the same what i saw. Blue flashes in the sky right before the fires. 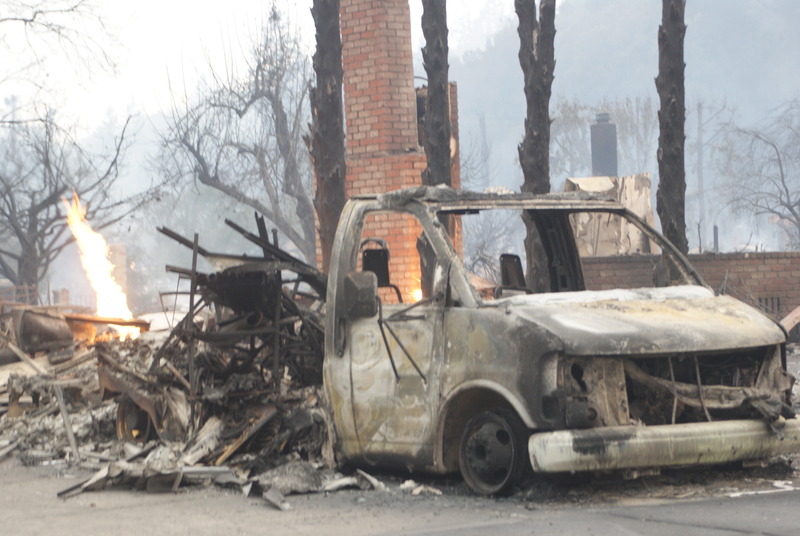 The firemen i spoke with to a person had 1) never seen anything like it before and 2) said they had no idea how it started and the intensity of the fires were now “the new normal”. i handed out my GE books to them so they can better understand Weather War Terrorism i chronicled in Hurricane Harvey and now N. CA. 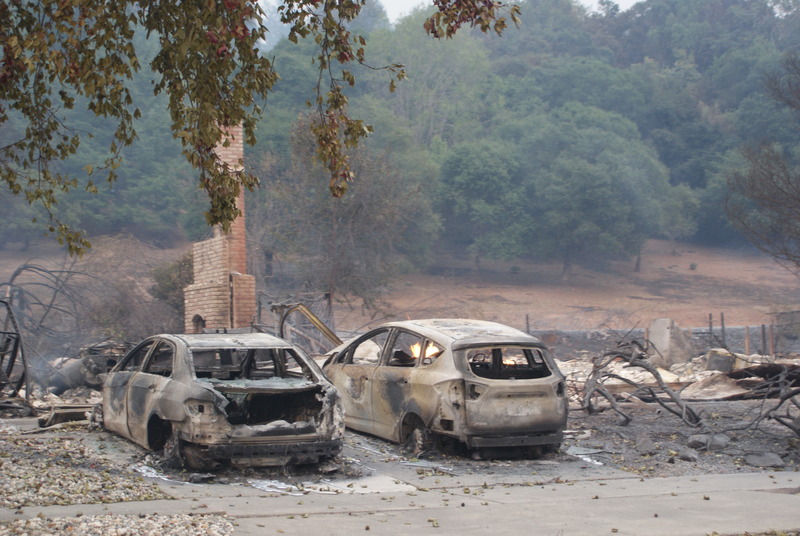 How can trees be fine , yet directly below cars are torched????? It takes 3,000 F to melt steel! This is Geoengineering Weather Warfare, whether anyone wishes to acknowledge that CA is under attack or not. Greatest Drought followed by Greatest Rain/Snow in history. 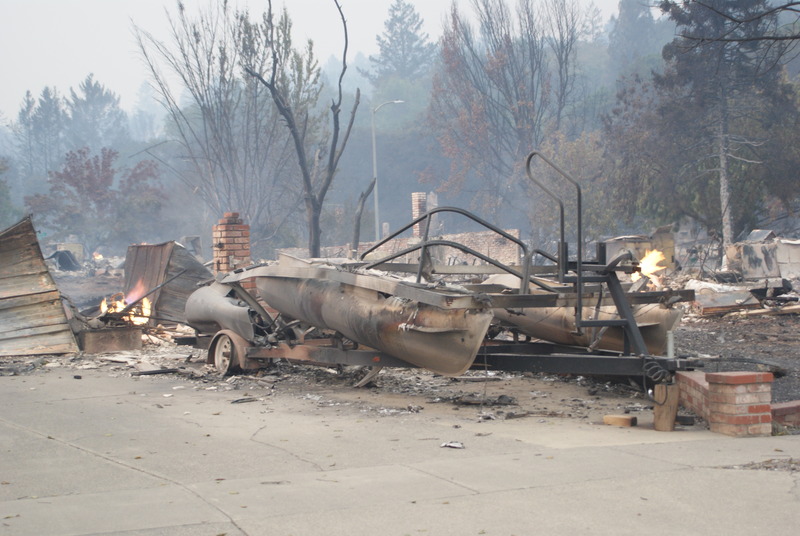 Orville Dam and now flash fires out of nowhere in the middle of the night. In Houston, all said the same thing, the “hurricane” was like no other they had ever seen before. The officials downgraded the storm to tropical the day before so all stayed. They had 50″ of rain in just 3 hours and there was no wind and came at 1 am, just like here. 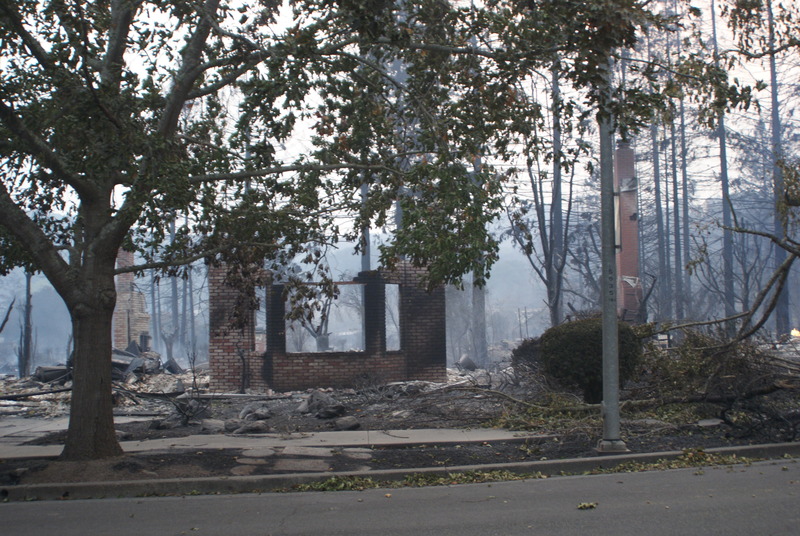 ORange County is now on fire and comments are very similar. This is why i put out my book on Geoengineering. More are awakening that this country is under weather terrorist attacks that are increasing exponentially so now it is hard to keep up. 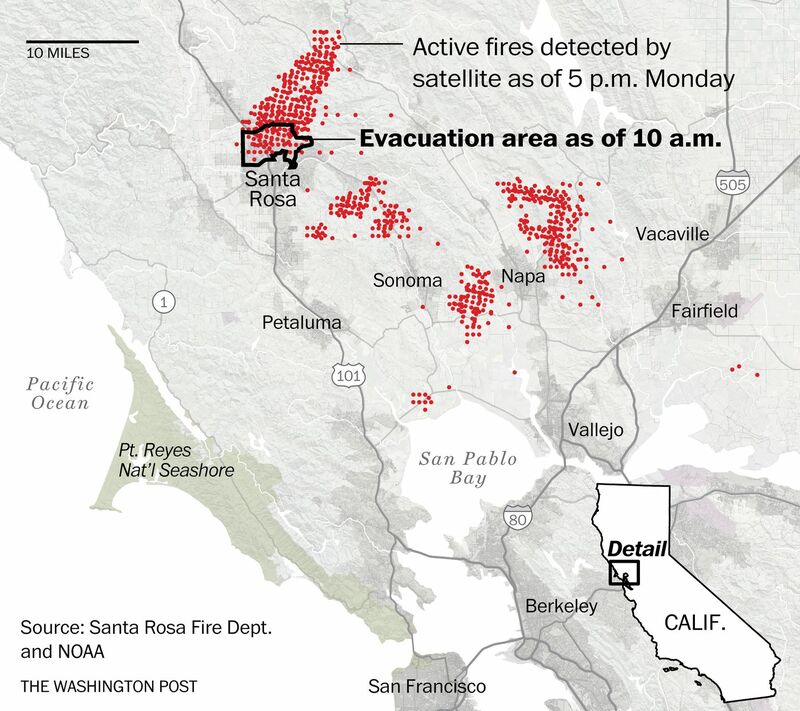 Below you can read the comments on my posts about seeing the blue flashes in the sky, like i saw, and then out of nowhere, fires that came from no lightning, and no storm, just intense winds around the event areas while other areas were left completely untouched. I’m going out with the GoPro drone and film and will post. Any “Coincidence” the movie Geostorm is coming out next week? 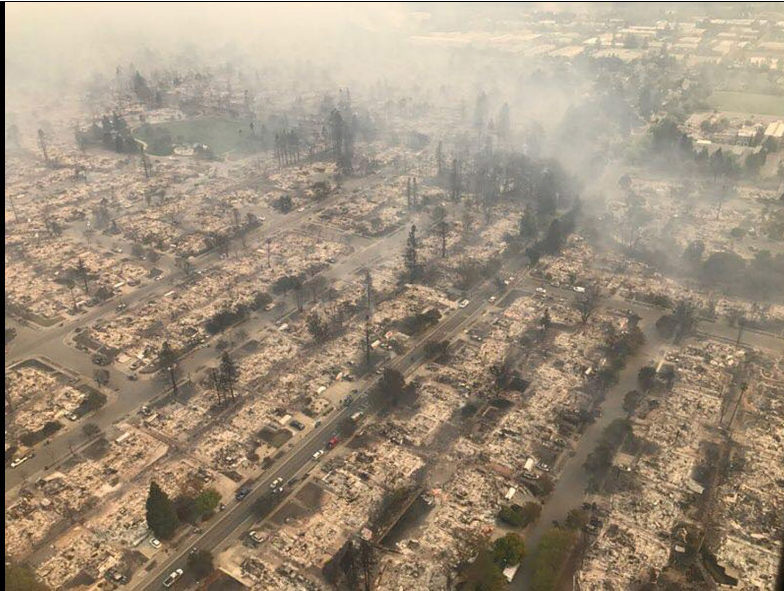 These fires are not “normal” fires and compare to other Directed Energy Weapon fires as this lady points out and compares with the “Beast Fire” in Alberta Canada last year. DEW was also used to pulverize into dust the WTC towers on 9/11. They can generate one trillion watts of power on a focused beam of energy from the sky. 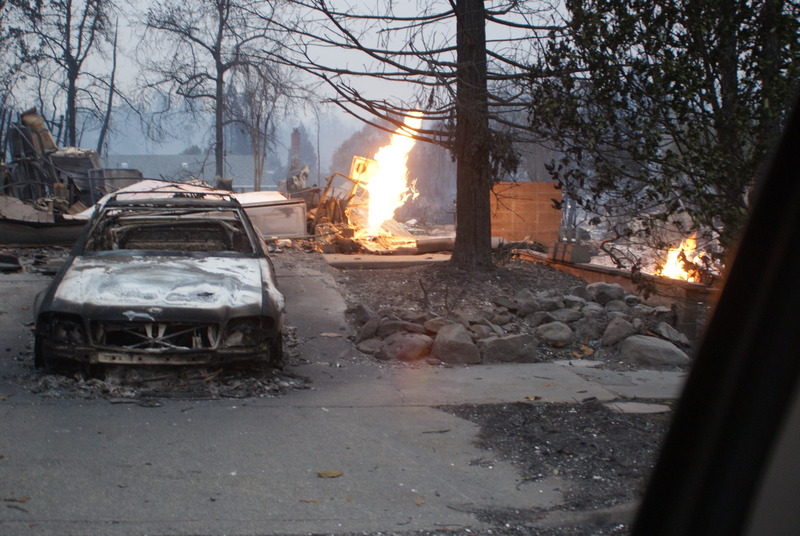 In pics attached…Please note how trees were unaffected right next to metal cars that were incinerated. metal melts at 3,000 degrees F!